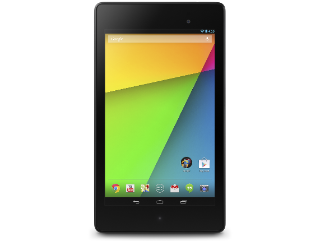 Today is a good day to be the proud owner of a T-Mobile Nexus 7 2013. Lollipop 5.1.1 is here with bug fixes and security enhancements in tow. The OTA actually started to show up on some devices yesterday, but your device may not have been part of the first wave of tablets receiving the update availability notification. If you haven't been invited to update yet and can't bear to wait, then you can head over now to the system tab in settings to manually initiate the software download. Before you attempt an update, there are a couple of requirements you should know about. Your tablet must have 50% or higher battery life, be connected to the internet (you would think that would be pretty obvious), and have 18.1 MB of memory available. If you have any issues with your update, be sure to contact T-Mobile customer care. Did you already download the update? Is your Nexus 7 2013 running better (or worse) than before? Sound off in the comments below and let us know.